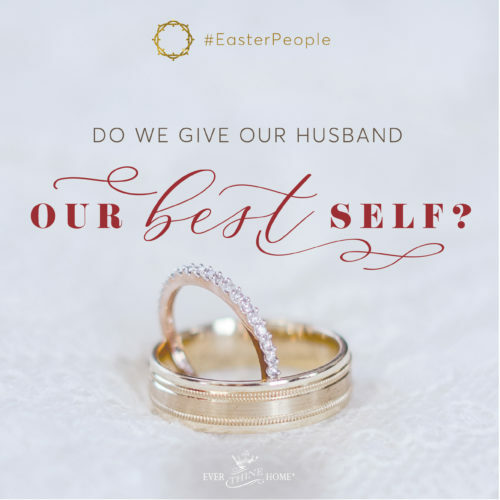 For several months now you have been marveling at God’s gift to you of a man who is kind, funny, and who “adores you,” as he said to us when he asked for your hand in marriage. 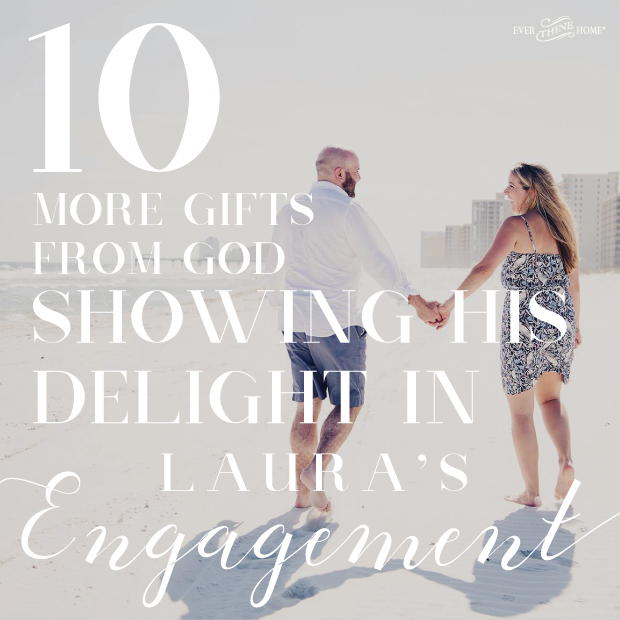 I have been marveling at all the ways God has shown up and kissed this plan of His with gifts that are showing me just how much He loves weddings and marriages. I’m truly in awe watching Him work, giving us gifts for which we didn’t even think to ask! The Book of Psalms tells us to remember the wonders, the works, the evidences of God’s hand in our lives. Remembering helps us keep our faith strong when the hard times come. And they will come. Because I don’t want to forget—and I don’t want you to forget—this letter is the start of a list remembering His happy hands at work on your behalf. Let’s start with the engagement. You were completely surprised, which is a miracle in itself. The location was perfect. The ring is perfect. Your family and dearest friends were all there watching from afar waiting to celebrate with you and Josh. And God was smiling, because, of course, He loves weddings. How about the wedding location? God is providing a magical location for your big day: a beautiful home that wasn’t available 6 months ago. And on top of that we were granted a gracious and significant reduction in the cost to use this dream venue. You found the dress! What a story of God’s hand leading you so clearly. Read about the dress shopping day here. 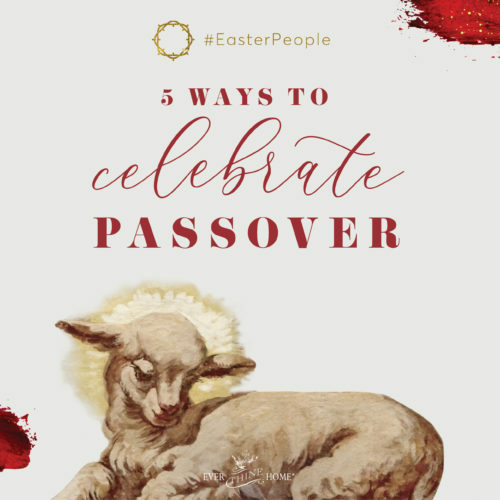 Let’s invite your friends! In late July, FamilyLife celebrated our 40th anniversary, and we just happened to have 130 silver envelopes left over. Sweet Michele gave these to you to mail your invitations! You and I both needed someone to direct and answer questions and run the wedding day on October 22, so that you can relax and enjoy. Another friend offered to fill the wedding coordinator role as her gift! I continue to be amazed and humbled by these generous offers of help. We are truly in awe and giving thanks for God’s orchestrating these details! Can’t have a wedding without the flowers. A dear friend of ours, Miss Connie, offered to do all of them! She’s ordering exactly what you want. Then a team of 4 women, all longtime friends, will make the bouquets and all the arrangements using borrowed vases and cut glass pieces. Our only cost is the flowers themselves. This is a big gift to help you stay in your budget! Every party needs favors! Another friend of ours and her coworkers are making yummy white chocolate candies, boxing them and then shipping them to us for your wedding favors. Our dear friend Sheryl is coming to Little Rock early in the week to help, another gift, and she will tie gray ribbon on each box for a beautiful presentation. I will want to remember how stunning you will be as Josh’s bride, to be reminded of the joy and radiance that will be ours as Jesus’ bride one day. Another friend, whose daughter is getting married the same day, came by your desk one day and offered to take your bridal portraits as a wedding gift to you! Neither of us would have asked her knowing she had her own wedding to think about. What a wonder! You have a photographer flying in to do the wedding photos because of your connections in the blog and social media world. And at a cost below what several of our best local photographers quoted you. You and Josh need to fill your home. You’ve had showers and more are in the works, more gifts of love to you and Josh and your family. There will be more. Many more—because God loves weddings. But He especially loves marriages. It was His invention to show the world what His love looks like. So even though the wedding is great fun, it’s the marriage that matters most to God. If we could go back to the beginning of these relationships, I am sure we would find the same excitement and many evidences of God’s hand bringing the two of them together. I believe God makes a strong statement at the beginning of every marriage because He wants the couple to remember that He is in their union and will be throughout all their days. 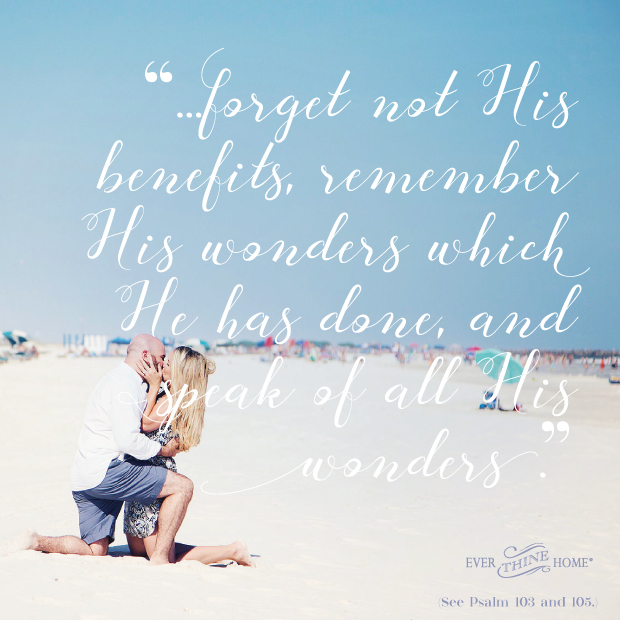 He tells us to “forget not His benefits, remember His wonders which He has done, and speak of all His wonders.” (See Psalm 103 and 105.) When we forget God and all He has done, we slip silently into unbelief, which brings this result, “and He did not do many miracles there because of their unbelief” (Mark 13:58). 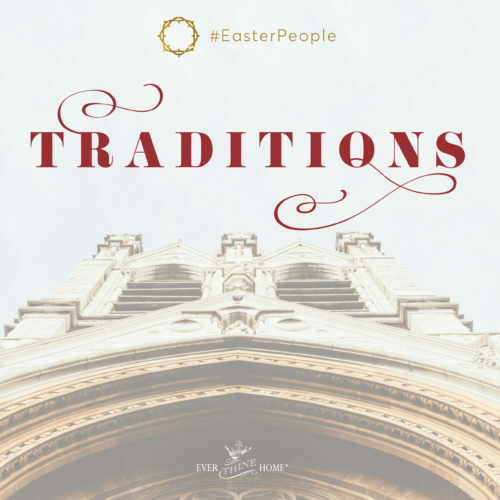 Watching your love story unfold is a reminder of the greater love story of God coming after each one of us to woo us to Himself, to betroth us to Jesus with the seal of His Spirit. It is a story God desires to bless and prosper all the way to the end of your days. Our part is to watch for His hand every day, to give thanks for His work even when it doesn’t feel good, and refuse to slip into unbelief. May this growing list of His amazing provision, His evident joy and happiness in your budding relationship, keep you watchful for His loving work in and through both you and Josh all of your days. All who know you, love you, and belong to you will rejoice and be glad. Wow! God is awesome! My dear husband and I got married 26 years ago while we were Buddhists. But God was there with us. Our wedding flowers and photos were taken care of in similar ways. Then He wooed us until we realized all along how He had been drawing us to know Him. Our young children let us to church and we came to know this amazing God. We can never praise Him enough for His grace. Thank you Barbara. We thank God for yours and Dennis ministries. Our marriage is whole and you both were part of the healing. Blessings. So beautiful depicted. Love your family. Precious, thank you for your insight reminding us of God’s delights and to be looking for His blessings, He is a good good Savior! This was such a good word for me, especially in regards to marriage and family. I want to be constantly in awe of the good things God is doing in my life. I also want our children and grandchildren to hear it from me and my husband so they, too, can discover and praise God for His goodness in their lives.